If there's one exhibition you have to see before the end of the year (besides Escher, of course), it's William Wegman's Being Human. Renowned for his iconic photographic works featuring Weimaraner dogs in various costumes and poses, William Wegman is currently the subject of a major solo exhibition at the NGV. The exhibition (curated by the renowned writer and curator William Ewing) is split into 16 categories that display the different facets of Wegman’s work with his beloved Weimaraners. The first half of the exhibition focuses on Wegman’s large polaroids (shot over many years with this gigantic, now-discontinued 20x24 Polaroid camera), while the second explores his colourful digital photography. And while you might be tempted to think some of Wegman’s more intricate shots are digitally manipulated, think again: every single Polaroid or digital shot was carefully staged and executed. No Photoshop trickery here—just patience and craftsmanship (and loads of talent, obviously). 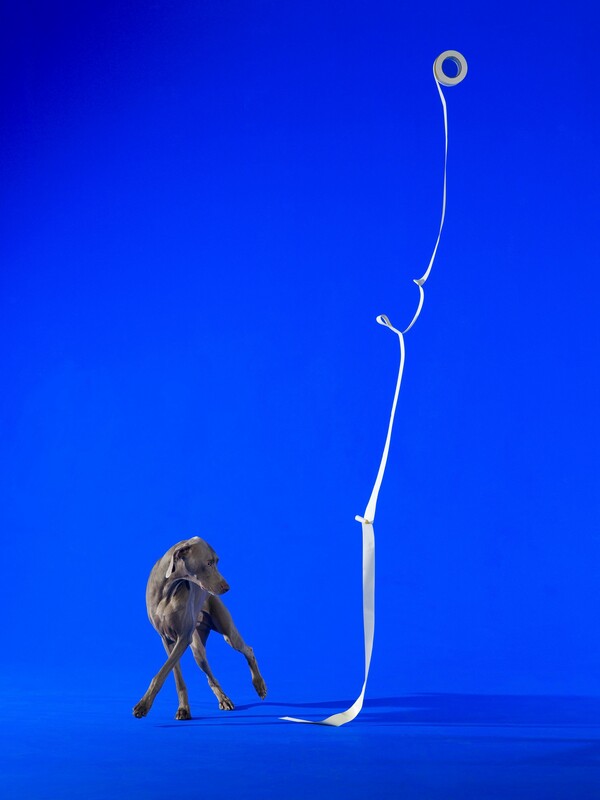 While his dog was on a blue paper backdrop, Wegman asked his assistant to throw a roll of tape in the air—the dog's reaction is completely candid and the tape unravelled naturally. This type of labour-intensive attention to detail is the main reason why Wegman's photographs look completely unreal. 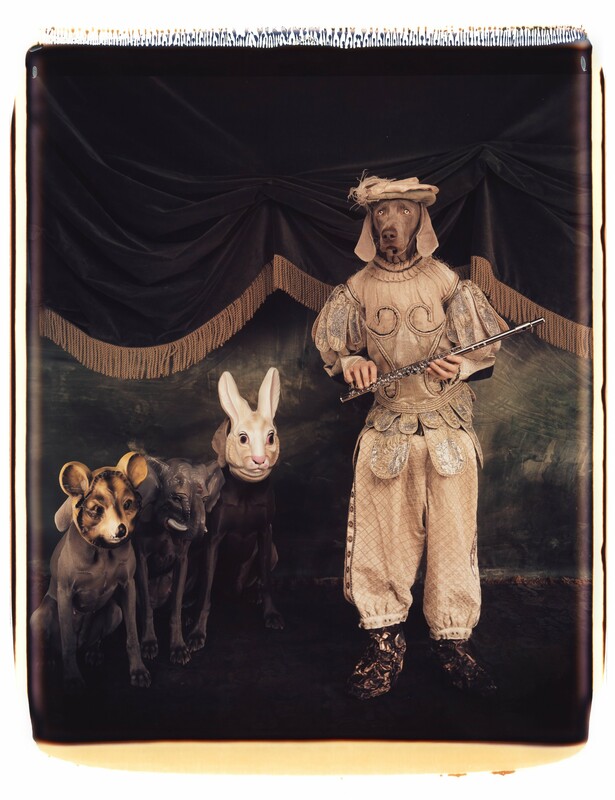 Wegman's costumed shots (especially the Polaroid ones, as he could only do a single take at a time) were laboriously staged—the costumes, the human models, and the dogs had to work together in order for Wegman to get that elusive, perfect shot. So if you're sick of your regular Netflix green screen trickery, you'll definitely want to give Being Human a go. Need help to get into the Christmas spirit? Here are 15 Christmas markets you need to visit this month.